It’s been seven long years since we last heard from Ladytron, and not a moment too soon have our favorites returned with their shiny new single, “The Animals”. Their fifth studio album, 2011’s Gravity the Seducer was the hiatus point for the international electronic outfit, leaving the lot of us die-hards wondering what the next move would be. 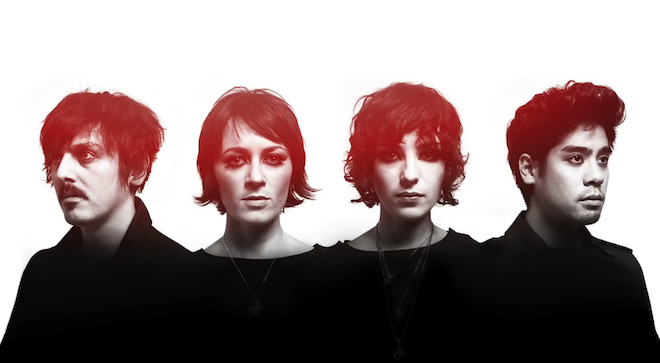 I remember that dark age well – Ladytron was one of my first concerts, but that’s another story. Then just a year later in 2012, vocalist Helen Marnie embarked on a solo career under her surname with which she continues to embrace her pop roots. Today’s single marks their triumphant return and offers some exclusive material – a limited edition 7″ vinyl along with their forthcoming record through Pledge Music, out later this year.